Jack Finlayson is a Senior Advisor to Star Mountain. Mr. Finlayson has over 30 years of experience as a seasoned telecom industry executive leading companies through IPOs, acquisitions, crises/turnarounds and delivering superior financial results. Mr. Finlayson is the former Chairman and CEO of Layered Technologies, which he built into a leader in the compliant hosting services sector. 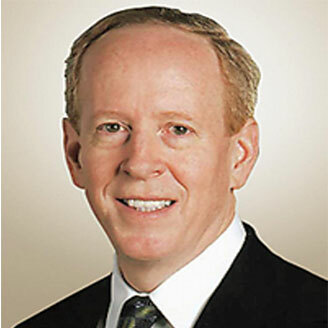 Mr. Finlayson also served as President and COO of SAVVIS Inc. which he helped develop from a $180 million network company to a $700 million competitor in the global network and hosting space, including $330 million IPO in 2000. Mr. Finlayson was also a Senior Vice President and President-International at Global Crossing where he participated in a highly successful IPO, generating over $300+ million. Previously, as a Corporate VP and General Manager at Motorola he helped turn around a failing wireless business by tripling revenue in four years. He also ran a $2.5 billion wireless infrastructure group and a $2 billion product portfolio. Mr. Finlayson also built his deep expertise through senior leadership roles at AT&T where he ultimately became the top-ranked Sales Vice President in the country, managing a 550 person sales force and generating over $800 million in revenues. Mr. Finlayson holds a BS in Marketing from LaSalle University and an MBA in Marketing and Information Management from St. Joseph’s University, where he also serves as a Trustee on the Board of Directors. He is also a graduate of The Executive Program (TEP) at the Darden School of Business at the University of Virginia.